Lawrenceville, Ga., August 14 -- (Special.) -- William R. Hooper, of Duluth, died at a private sanitarium in Atlanta this morning, where he had been carried for treatment for typhoid. Mr. Hooper was a well-known citizen of Gwinnett county and was rural mail carrier on route No. 1 from Duluth. He was about 35 years of age and unmarried. 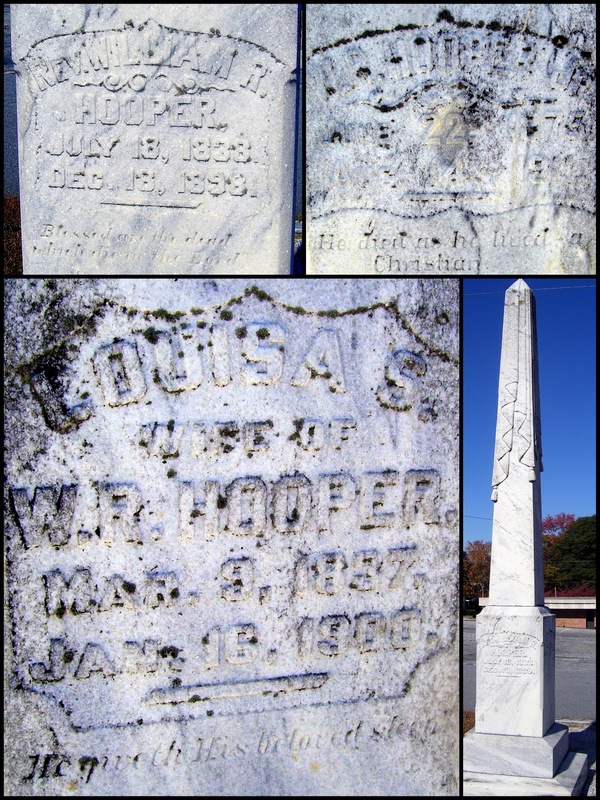 Mr. Hooper leaves two sisters, Mrs. A. R. Danforth, of Pittman, Ga., and Mrs. L. M. Brand, of Lawrenceville. The remains will be brought to Lawrenceville this afternoon for interment in the new cemetery Tuesday morning. He will be buried by the Odd Fellows, of which order he was a prominent member. 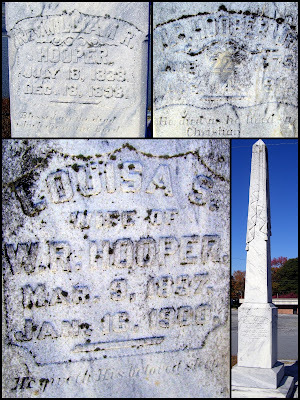 Other inscriptions on the HOOPER monument are for young William's parents.